Indeed it is, and it was an easy course to teach at the GCSE/IGCSE level. At 16-18, students are sufficiently matured in their thinking to appreciate the wider and deeper context of Chemical Bonding. Which wins boils down to spatial distance (which is the parameter of space) and forming stable structures through alliances (bonding). Without this trading going on, existence is just a collection of atoms floating aimlessly in space. Hence the importance of this topic. 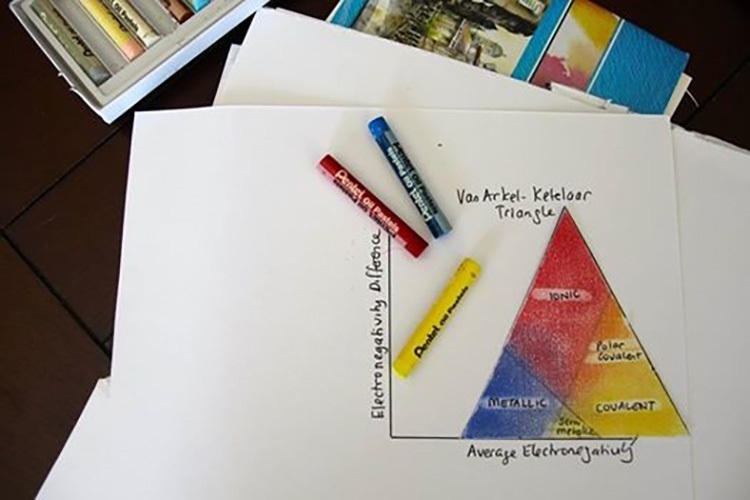 I made a van Arkel-Ketelaar Triangle in pastel to illustrate a very profound point that goes beyond the chemistry syllabus: that chemistry - and by extension, life - is not in black-and-white or neat boxes. Quantum fuzziness makes it alive. Ionic, covalent and metallic bonds do not exist in discrete boxes but there is this lovely flow of smooth property change. Appreciating this makes the exercise of calculating which bonds is more covalent/ionic using electronegativity values all the more meaningful. I am a great believer of contextual learning and in reinforcements at every opportunity. Thus, I referred to the seven anions in the syllabus as The Seven Giants. 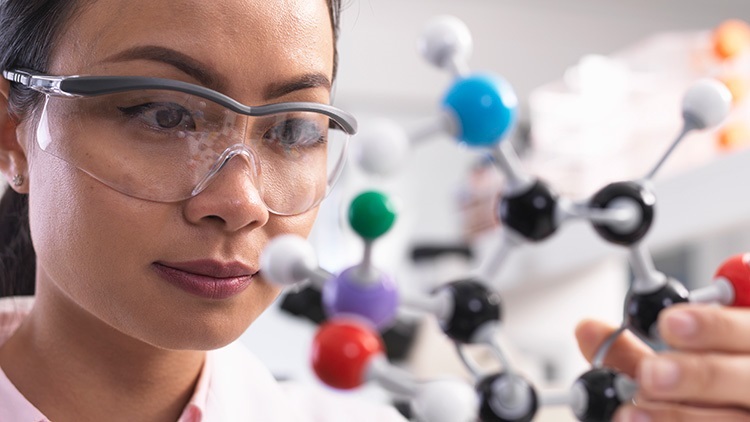 Giving students time to work out the bonding, structure and shape of these anions is a good way to strengthen their foundational knowledge in covalent bonds. The Seven Giants of course, also provides a good opportunity for students to practice their Formal Charge application to find out the favoured Lewis Structure of an ion. There is a very strong relationship between shapes and numbers. When I wrote a novella dedicated to shapes (available as part of Physics – Relativity Option resources), some Year 13 students asked me, “What has spheres of light got to do with Einstein’s Relativity?” There is much discussion in theoretical physics circles about the discovery of the pear-shaped nucleus and its implications in fantastic phenomena such as time travel and antimatter, to name but two. In this topic on chemical bonding, the veil is lifted back slightly to reveal the connection between forces and the physical outcomes arising from these repulsion/attraction. They shape our material reality (pun intended). Simple props such as a small ball of plasticine and toothpicks will illustrate the bond angles of the 5- and 6-domain molecules beautifully.